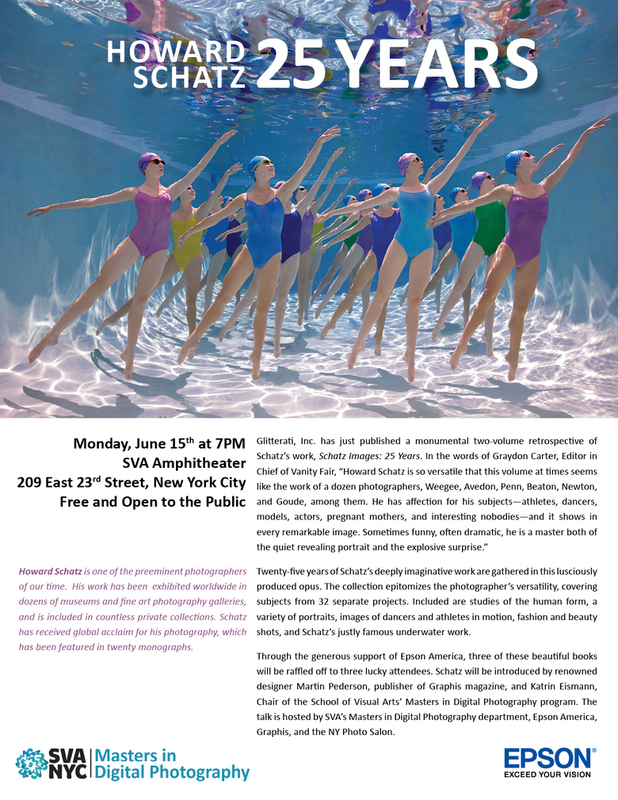 On Monday, June 15th renowned photographer Howard Schatz will be giving a lecture at the School of Visual Arts New York. Howard will be discussing his new book, SCHATZ: 25 YEARS, a magnificent and luxurious boxed set including work from 32 individual and personal projects made over the course of the last 25 years. 3 copies of this beautiful publication will also be given away as part of a raffle sponsored by Epson America. This event is free and open to the public, so we highly recommend stopping by if you’re in the area. You can view more information on Howard Schatz and his new book here.